Some thoughts on the gradient optimisation (perhaps better written here). And here are the slides! 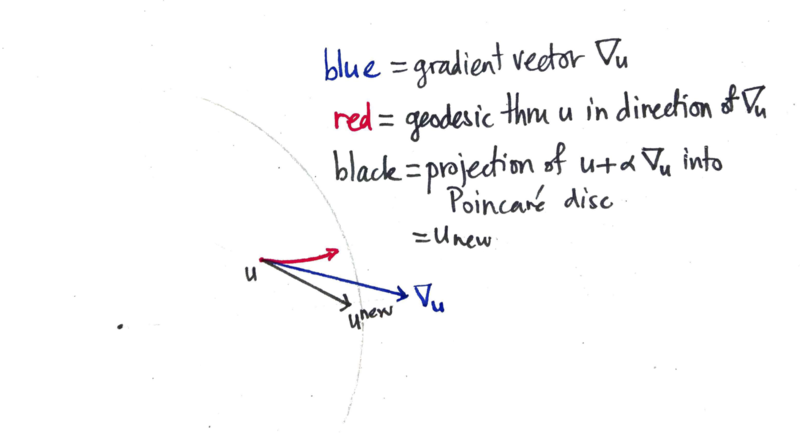 The blue vector is the hyperbolic gradient vector that is added to , taking us out of the Poincaré disc. 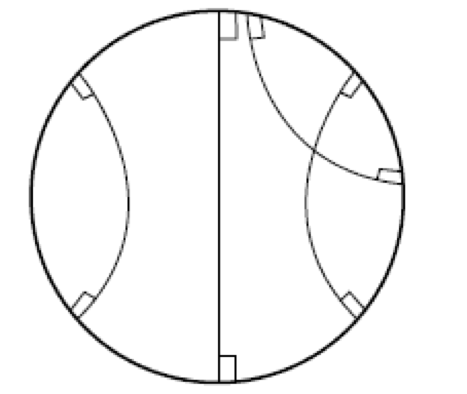 The resulting vector is then pulled back (along the ray with the faintly-marked origin) until it is within the disc by some small margin, resulting in the new value of the parameter vector . 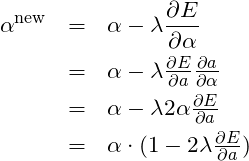 On the other hand, if you followed the geodesic from to which the gradient vector is tangent, you’d end up at the end of the red curve. Which is quite some distance away. Thus we’ve obtained a multiplicative update rule for that is in terms of , only. In particular, we don’t need anymore! We show that if the contour lines of a function are symmetric with respect to some rotation or reflection, then so is the evolution of gradient descent when minimising that function. 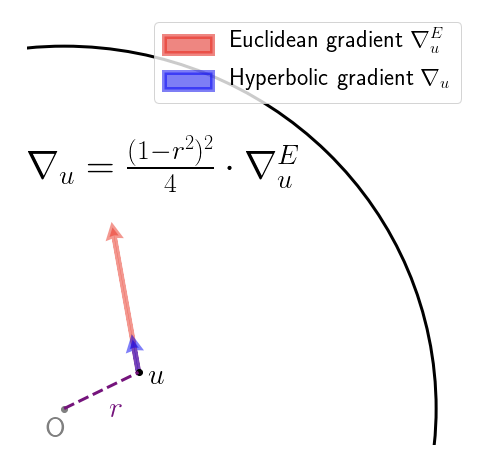 Rotation of the space on which the function is evaluated effects a corresponding rotation of each of the points visited under gradient descent (similarly, for reflections). 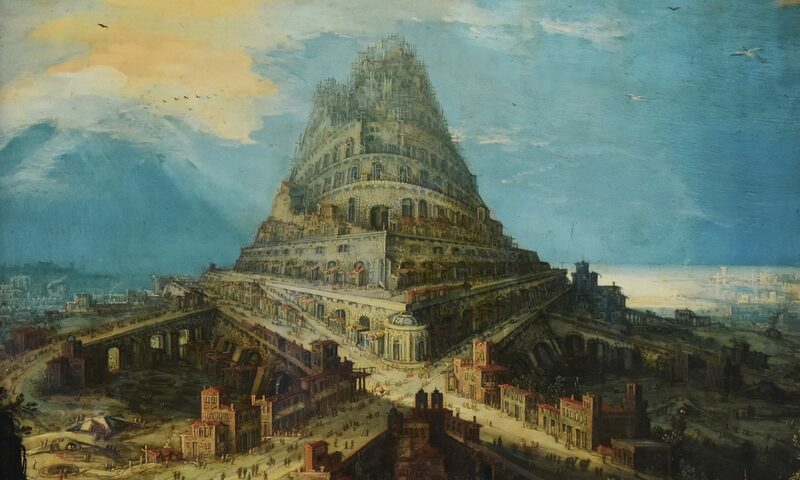 We consider below three one-dimensional examples that demonstrate that, even if the function is symmetric with respect to all orthogonal transformations, it is necessary that the transformation be orthogonal in order for the property (1) above to hold.